| New York, NY - November 1, 2017 | Wolf-Gordon is sponsoring this year’s Architecture and Design Film Festival by providing custom, digitally printed wallcovering designed by Studio O+A’s Verda Alexander. 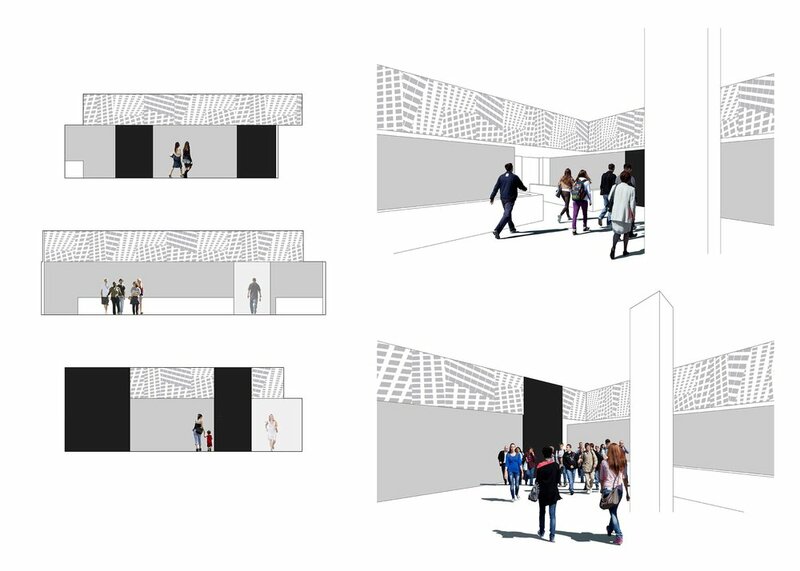 The wallcovering will be part of the redesign of the iconic Cinépolis theater in Chelsea, led by Studio O+A Principal Primo Orpilla, in which the theater’s top floor lounge will be turned into an event space that reflects New York City’s beloved urban environment. The site-specific wallcovering will be digitally printed through WG Customs Lab. Using a specialized method, Wolf-Gordon is able to create signature wallcoverings that are easier to customize than with the traditional rotogravure process, and they can be printed with a limitless number of colors. WG Customs Lab offers a vast array of substrates for digital printing, from acoustical material to faux leather and linen upholstery textiles. The lounge will unite a metropolitan feeling with a design aesthetic that celebrates the history of New York City and the arts. Like viewing the streets from an urban core, the room will have lighting systems by Ketra that reflect the pedestrian level of the city. The flooring presents a mosaic of urban structures as well, provided by Bolon. The Architecture and Design Film Festival is the nation’s largest of its kind devoted to the creative spirit of architecture and design. Now in its ninth edition, this year’s lineup includes feature length and short films such as Columbus, Building Home: The Maggie’s Centres, Integral Man, and Land Artists: The Story of Denton Corker Marshall. ADFF’s 2017 anchor festival in New York will take place at the Cinépolis Chelsea (260 West 23rd Street, NYC) from November 1-5. To learn more about the festival, please visit www.adfilmfest.com.